In its last edition in 2016, IDEA exhibition registered 7000 attendees and 550 exhibitors from more than 70 countries in the world confirming to be one of the most important event for nonwoven producers in the US. . 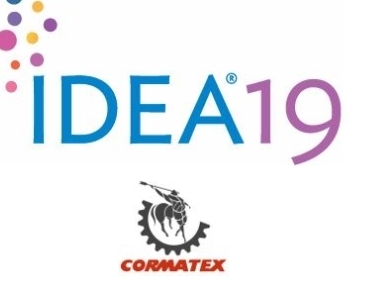 This year IDEA19 will be held in the renovated Miami Beach Convention Center from 26th to 28th of March. Cormatex will be back to Miami for the 3rd time in a row as the high quality of visitors and their genuine interest in our innovative nonwoven technologies for waste recycling is a guaranteed and privileged access to new business opportunities in the US market. This year we would like to draw the attention of visitors on our know how and expertise in developing special projects and technologies for nonwovens in particular. Nonwoven market is moving towards recycling solutions and lower production costs. Cormatex technology offers both these advantages thanks to the 2 Airlay systems we developed: Lap Formair V creates vertical orientation of the fibres, providing excellent resiliency, thermal and acoustic insulation properties; while Lap Formair H creates a horizontal stratification of the fibres, thus improving mechanical properties – tensile strenght, maintaining a gentle fibres handling. Special feature of Lap Formair H is the possibility of processing various types of powder, such as powder resins instead of low melting fibers. Both our Airlay systems can process almost every kind of waste material (post-industrial as well as post-consumer waste) therefore reducing the final product cost by guaranteeing high performance and quality standards. Come and visit us at our booth 1859 Hall D to discover more about our machinery and lines offer!